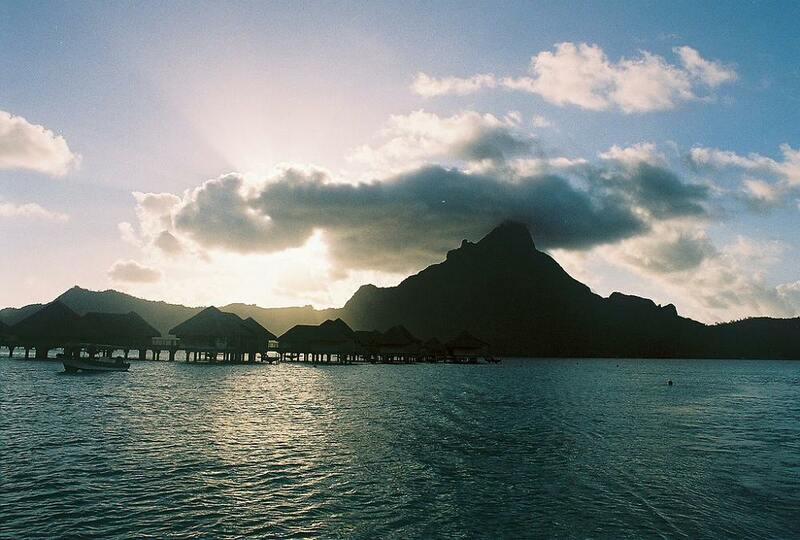 The Intercontinental Bora Bora Resort & Thalasso Spa is the first hotel in the world to use seawater air conditioning (SWAC), for all of its cooling requirements. Marlon Brando dreamed of a better energy future for French Polynesia, and imagined many innovative ideas for Tetiaroa, his private island. Video copyright InterContinental Bora Bora Resort. This elegant and contemporary resort is situated between "the two hearts" of Motu Piti islet. In an idyllic setting the resort creates a magical spa experience, combining the soothing powers of the islands and the European therapeutic regimen of deep seawater's curative benefits, in the Deep Ocean Spa. The 80 overwater villas are equipped with a separate living room with a glass-bottom coffee table for viewing the sea life; a separate bedroom with walk-in dressing room; a large bathroom opening onto the lagoon; a large terrace equipped with sun beds and dining table. All feature an internet connection, 2 flat-screen televisions with CD andDVD players and all the amenities and comfort of a five star property. The resort also offers a private 1000 feet white sand beach, a freshwater infinity pool, two restaurants and bars, conference facilities, tennis courts, helicopter pad and a wedding chapel. Pros: Very clean, chic styling. Large overwater bungalows, with very luxurious interiors--wonderful beds, beautiful bathrooms and decks. Very cool, avant-garde style to the restaurant and other facilities. Unbelievable views of Mount Otemanu. The spa is a modern eco-triumph, centered around a special deep water cooling system that pipes cold water up from about 2 miles out, using that to run the air conditioning for the entire resort, and also incorporating that water into much of the very modern and impressive spa facilities. Kudos to InterContinental for this amazing alternative to using traditional power to A/C all of the resort! Cons: Not so much to see snorkeling from your overwater bungalow. Eagle rays and sting rays in the lagoon though, which was cool...saw them nearly every time we walked from the bungalows to the shore.